Join us on Sunday, August 4th from 5:00 to 9:00pm at the Milano Inn Italian restaurant for a night benefiting Paws and Think! 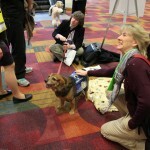 Paws & Think is very excited to announce that we are now an affiliate of R.E.A.D.®! 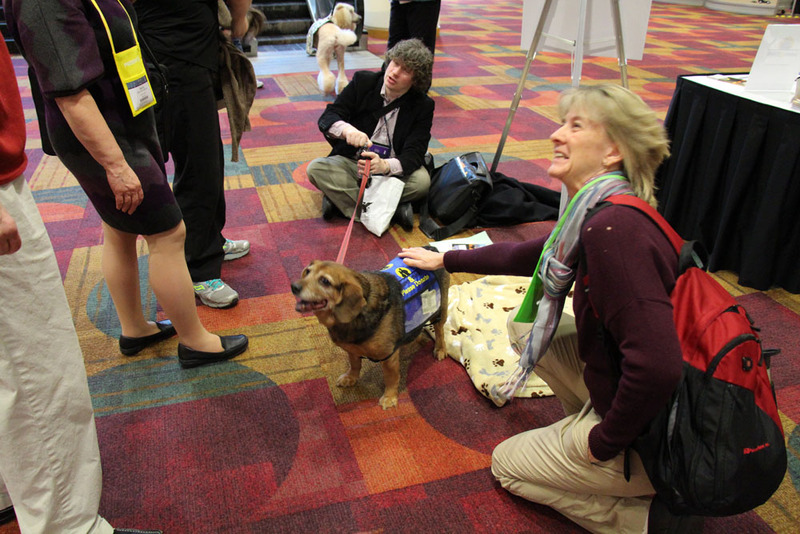 With similar missions and philosophies in the use of therapy animals, this worldwide organization provides Paws & Think a stronger foundation for training our teams who work with youth in our “Paws to Read” programs. R.E.A.D. 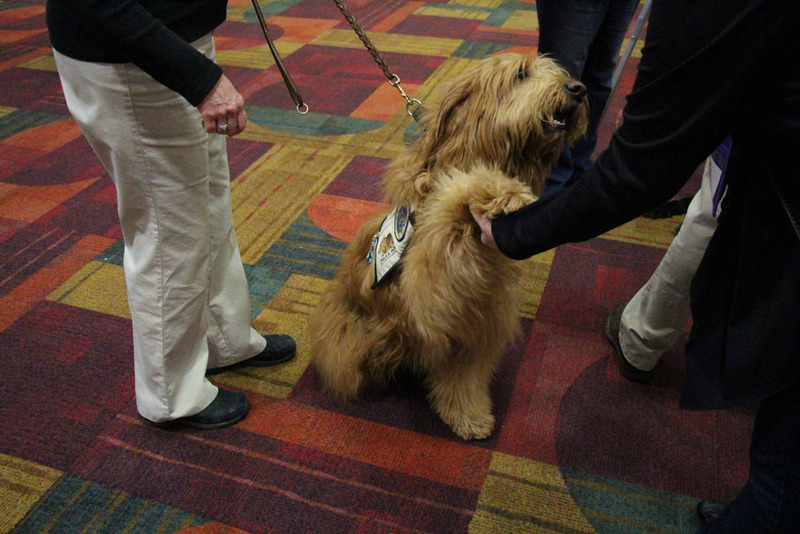 members are registered therapy animals who volunteer with their owner/handlers as a team, going to schools, libraries and many other settings as reading companions for children. Through R.E.A.D., the handlers are trained as skilled facilitators, prepared to help the child gain confidence, improve reading and communication skills, social skills and develop a love of reading. 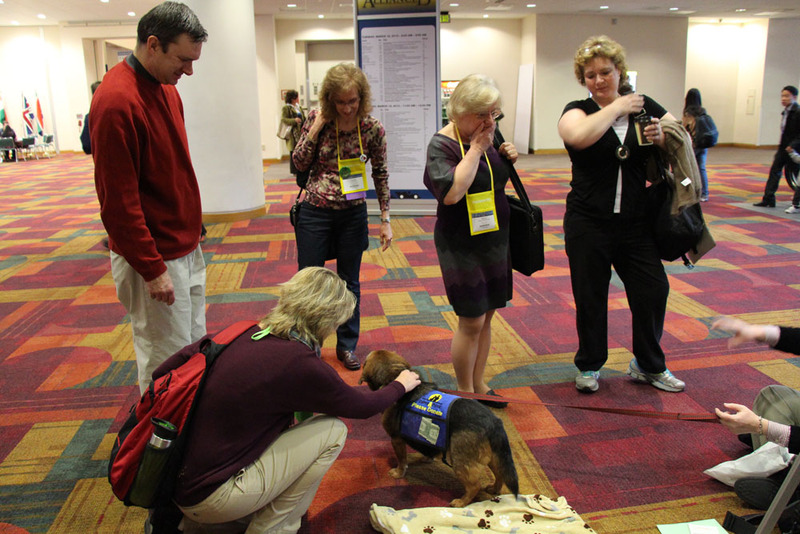 With the dog, handlers are able to shift performance pressure off the child. Their mission and goals in this program share such a synchronicity with those of Paws & Think in assisting youth with our “Paws to Read” programs, that affiliating was a natural step to take our program to a higher level and provide greater consistency within our teams. Note: If anyone wants to be evaluated this month, evaluations are Saturday June 22, June 29 and July 6th. Please contact Carol Davenport at cdavenport@nullpawsandthink.org if you are interested in attending. Summer is just around the corner and there are a handful of opportunities for you to support Paws & Think while having fun in the sun! Here are some dates you can come out and have a good time while learning more about our organization. More details will be posted about each one as the date approaches. In some cases, you can bring your dog too! Enjoy the start of summer by sipping on a frosty beverage and stopping by our booth in the brewery parking lot! Come visit the new location for this Indianapolis pet hotel that features boarding, grooming, daycare and training services. We will be there spreading the word about Paws & Think! 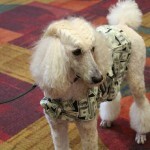 Paws & Think is honored to be the charity that will benefit from this year’s Midwest Z Heritage Show in Nashville, IN. We will be at the event spreading the word about our organization! Join us for a fundraising dinner at the Milano Inn. Pasta, pups and outdoor fun all located on the Milano Inn’s outdoor patio and bocce ball field. 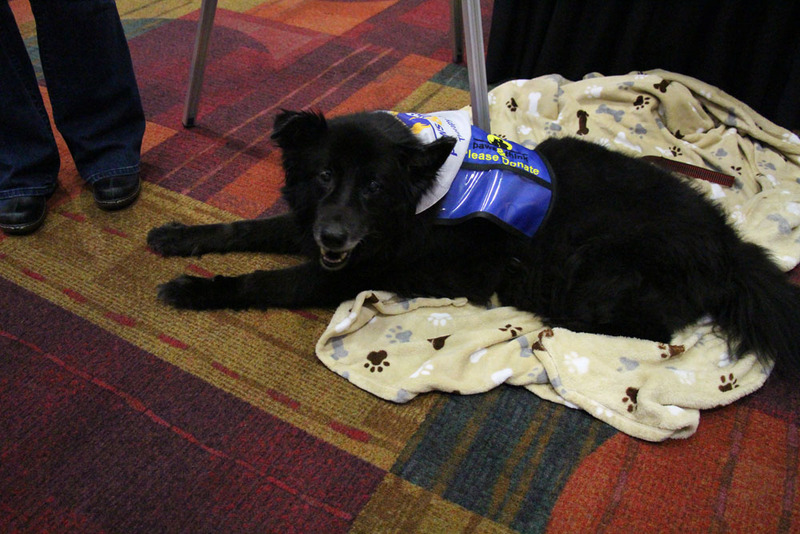 Paws & Think participated in the “HEUG a Dog” program at the Higher Education User Group Alliance Conference on March 18 and 19 at the Indiana Convention Center. 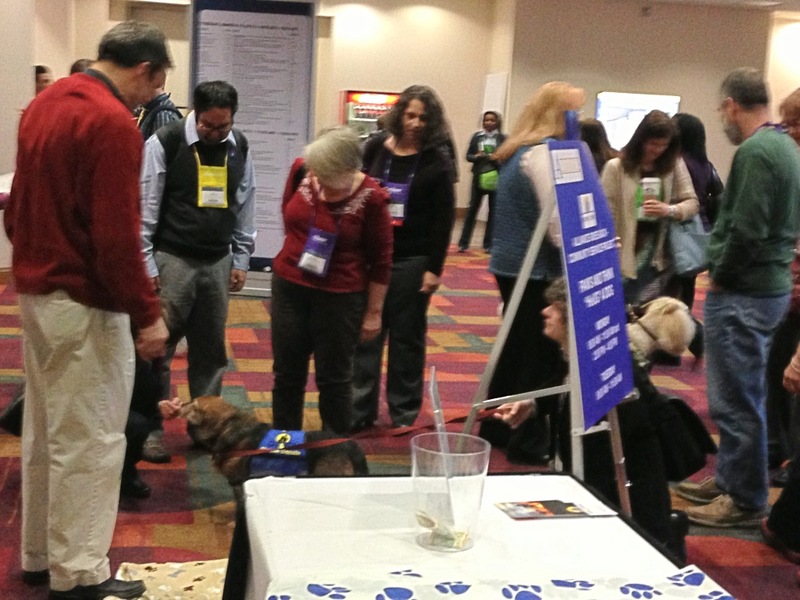 Our dogs provided a welcome stress relief and break for the conference attendees. Paws & Think volunteers Heather Bacher, Robyn Porter, Kathy Janes and Brad Kupper told the attendees about our programs while they interacted with the dogs. 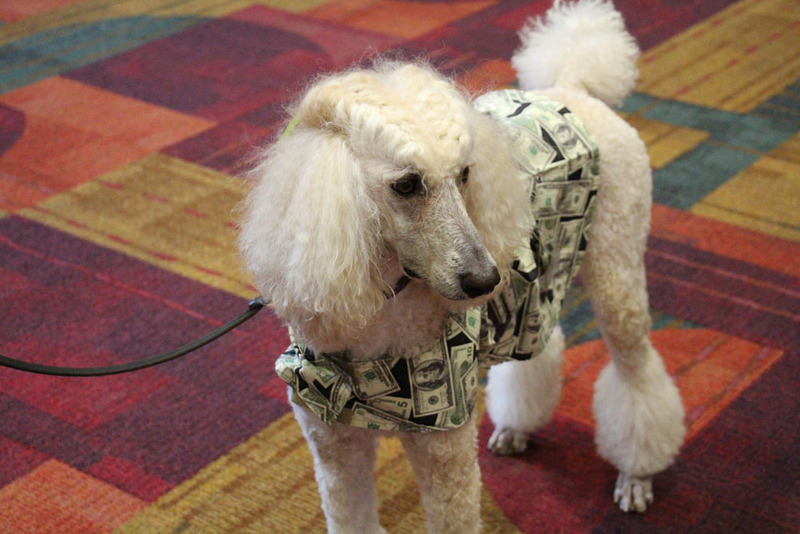 Everyone had a great time, especially the dogs! In addition, the attendees were very generous in their contributions and support. 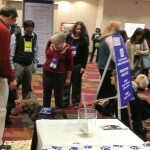 Paws & Think thanks everyone that stopped by! Click on any of the images below for a larger view! Our 2012 Volunteer of the Year… Tom Janes! We are very fortunate to have so many passionate and dedicated volunteers! Each January we like to look back on the previous year and recognize one special volunteer who has gone above and beyond in donating their time and talents. 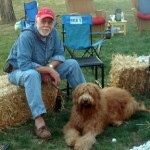 In 2012, that volunteer was Tom Janes (and his dog Mater). Learn about how Tom and Mater volunteer their time and see volunteers who were recognized in previous years on our Volunteer of the Year page. Paws and Think, Inc. is proud to announce that we are now on the American Kennel Club’s list of THERAPY DOG ORGANIZATIONS. 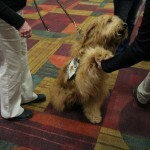 This is exciting in the recognition it brings us as the only Indiana therapy animal organization listed. 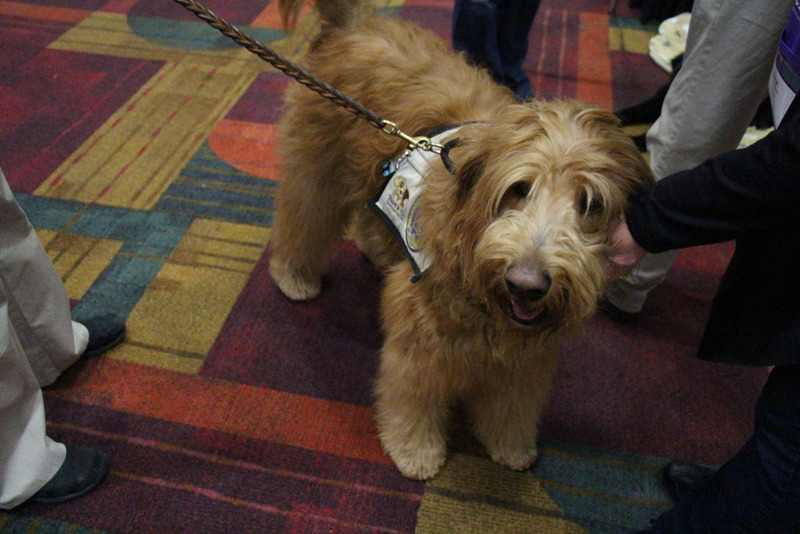 It has only been in the last few years that the AKC has allowed mixed breed dogs to be registered as Canine Partners, making it possible for all of our registered therapy dogs, whether mixed breed or purebred, to be eligible to qualify for the new AKC Therapy Dog title. 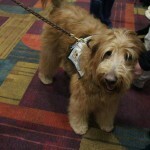 Certified/registered by an AKC recognized therapy dog organization. Perform a minimum of 50 visits. The dog must be registered or listed with AKC. We are very proud of Mater, owned by Tom & Kathy Janes, and Shane, owned by Mary Beth Googasian. Several of our other volunteers are very close to achieving this prestigious recognition. 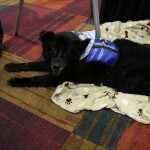 Visit them on our Therapy Dog Gallery, coming soon!